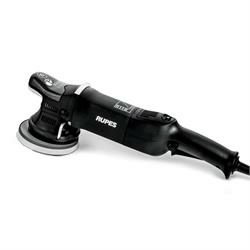 The RUPES LHR 15ES Mark II has taken on the successful elements of the original 'BigFoot' machine and improved upon them. The new version offers a larger motor providing 30% more efficiency over the original model. The result is shorter working times and more uniform polishing results even on contoured surfaces. Detailing enthusiasts will be impressed with the improved ergonomics and robust design, as well as the high gloss, swirl-free results! More powerful than my Legacy LHR 15ES, compliments my 21 MKII real well.